Létra is a village and commune in the Department of the Rhone, 34 kilometres north-west of Lyon, the chief town in the department. The village is on the main road from Lyon to Lamure. 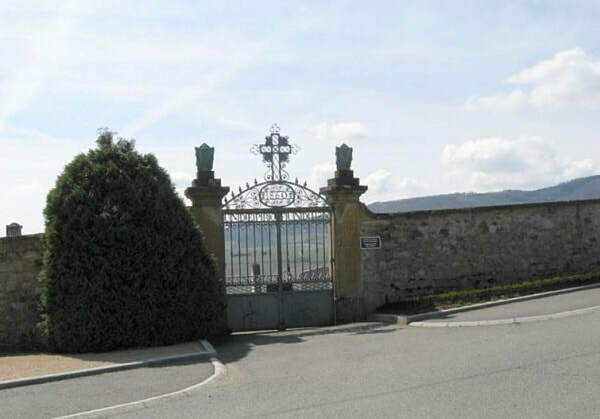 The communal cemetery is south of the village on the western side of the road from Lyon. 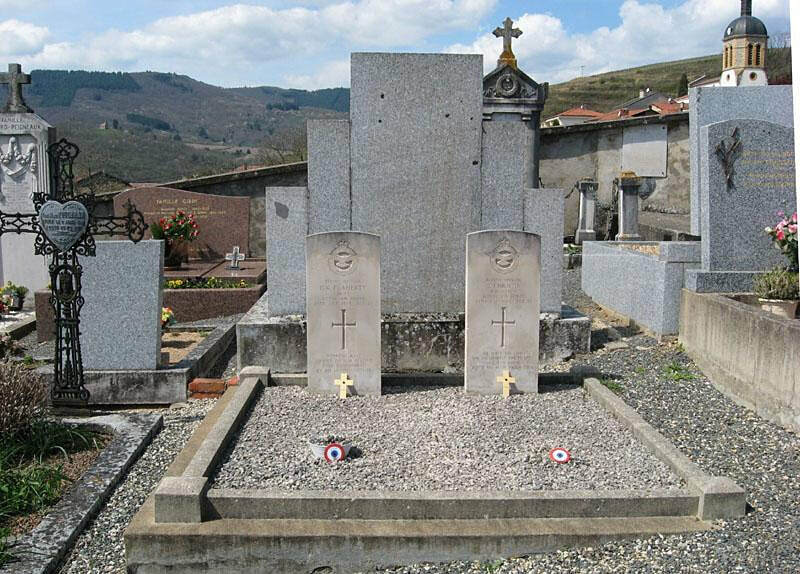 The graves are to be found north-west of the entrance, in the middle of the plot in the northern part of the cemetery. 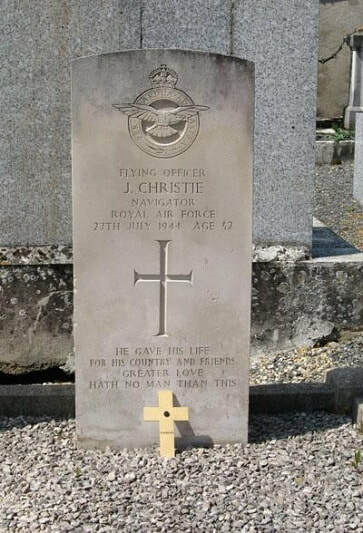 53421 Flying Officer John Christie, Navigator in 627 Squadron, Royal Air Force, died 27th July 1944, aged 32. Son of James and Agnes Christie, of Brechin, Angus. 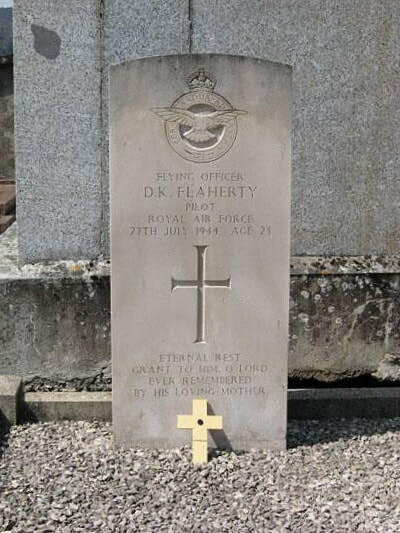 155505 Flying Officer Dennis Kieran Flaherty, Pilot in 627 Squadron, Royal Air Force Volunteer Reserve, died 27th July 1944, aged 23. Son of John and Mary Delia Flaherty, of Bradford, Yorkshire. INSCRIPTION. HE GAVE HIS LIFE FOR HIS COUNTRY AND FRIENDS. GREATER LOVE HATH NO MAN THAN THIS. INSCRIPTION. ETERNAL REST GRANT TO HIM, O LORD. EVER REMEMBERED BY HIS LOVING MOTHER.